On board this luxury cruise ship a divine selection of Italy’s best cuisine is served à la carte in La Terrazza. Authentic recipes and the freshest ingredients come together with flair and passion aboard this luxury cruise — a flavourful expression of Silversea’s distinctive Italian heritage. One of the healthiest cuisines to exist, The Grill features lava stone cooking at its finest. Sourced from volcanic rock and placed in an oven to reach an optimum temperature of 400˚C, The Grill invites guests to cook their food directly at their table. Place your meat, fish or vegetables on top of the grill stone or inside the soup bowl, and then simply cook to your very own taste. Every bite is cooked to perfection, time after time. With the stone cooking available in the evenings only, The Grill becomes a daytime rotisserie and gourmet salad and burger bar, offering build your own burgers from the best selections of meat. Casual wear consists of pants, blouses or casual dresses for women; open-neck shirts and slacks for men are appropriate. Sparkling with silver, crystal and candlelight, Silversea’s main dining room serves contemporary, international cuisine with sophisticated elegance and impeccable service. 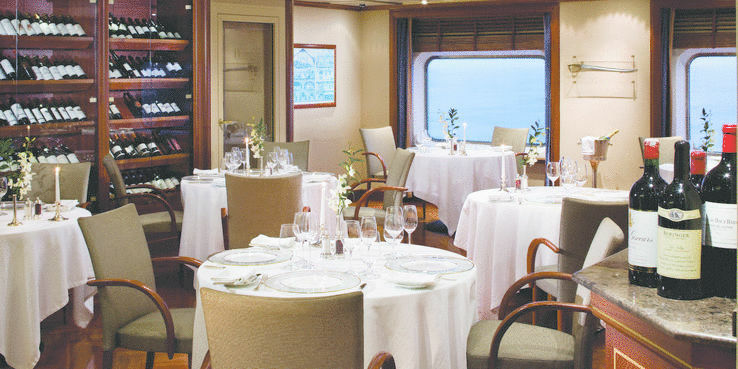 Menus feature regional specialities unique to the voyage destination, for example, Roasted Chilean Sea Bass while cruising the Chilean fjords and Indian Chicken Korma en route to Mumbai. During days at sea aboard your luxury cruise, choose something from La Collection du Monde, a series of signature dishes created exclusively for Silversea by the Grands Chefs Relais & Châteaux. The only Wine Restaurant by Relais & Châteaux at sea can be found aboard the luxury cruise ships of Silversea. Indulge in an evening where fine wines are complemented by a set tasting menu of regionally inspired dishes in an intimate, elegant setting. Our wine restaurant offers an extraordinary six-course experience celebrating the world’s most distinguished wine regions. Per guest reservation fee of US$60. 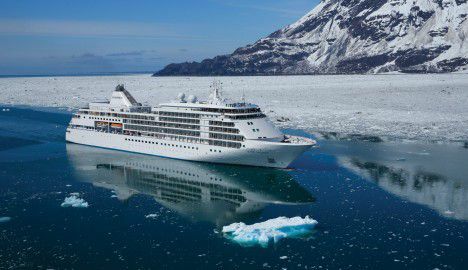 Please visit My Silversea to make your reservations. Silversea’s striking new shipboard boutiques, reimagined and redesigned by famed Italian architect Tiziano Vudafieri and his team at Vudafieri & Saverino Studio, are stunning modern design spaces befitting the finest creations from legendary designers including Buccellati, Damiani, Le Vian, Tag Heuer, Bulgari, Gucci, Paul & Shark, Sisley, Swarovski and more. Every seat in this multi-tiered venue enjoys a clear view to the stage. Applaud a broad spectrum of entertainment presented during the cruise — from full-scale production shows and classical soloists, to cultural entertainment and feature films. 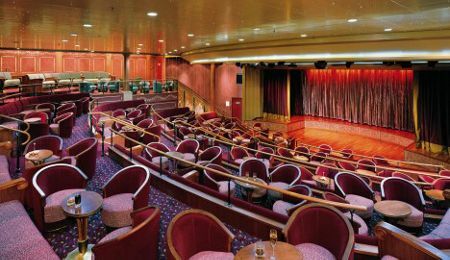 Throughout your voyage, the luxury cruise ship’s Show Lounge also presents port talks, enrichment lectures and a variety of special events. The Panorama Lounge is specially designed to provide an uninterrupted view of the day’s destination from the comfort of the luxury cruise ship’s interior. This is an ideal place to unwind, enjoy afternoon tea, listen to the pianist and watch the setting sun. The drinks are complimentary aboard this luxury cruise, the music live and inviting. Enjoy dancing to a range of musical styles for every taste from standards to the latest club mixes. 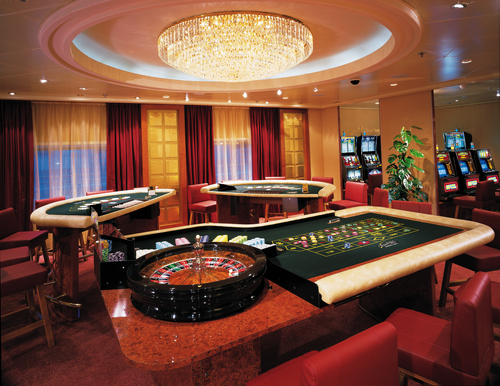 The Card Room on board this luxury cruise ship is where bridge games and tournaments take place most days. On days at sea, newcomers to the game can learn how to play. 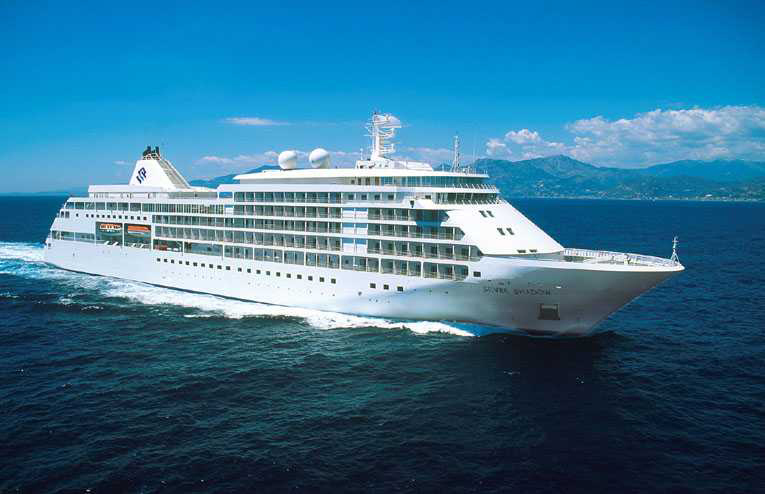 Should your group require a conference or meeting space, Silversea is pleased to provide a tailor-made experience. 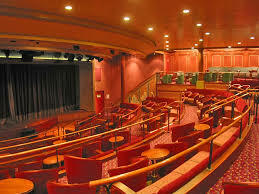 Audio-visual equipment is available and complimentary aboard all luxury cruise ships. 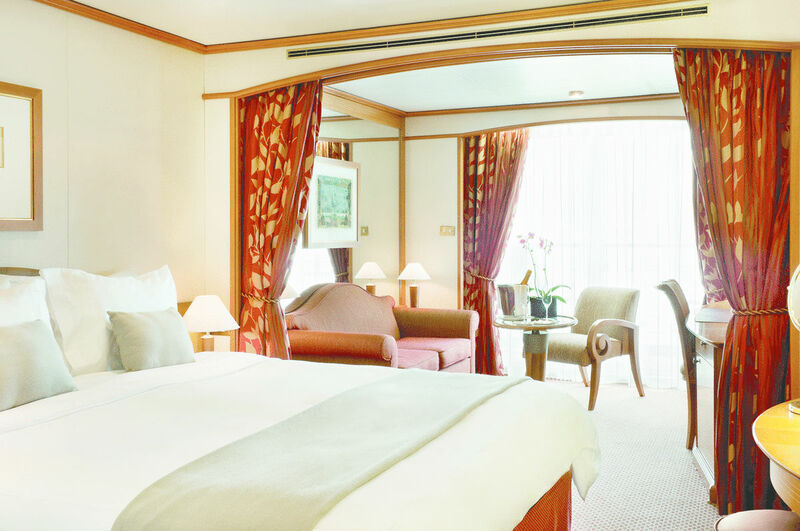 Relax your body and mind in this luxury cruise ship’s soothing sanctuary. Indulge in a wide range of invigorating therapies including facials, body wraps and massages. 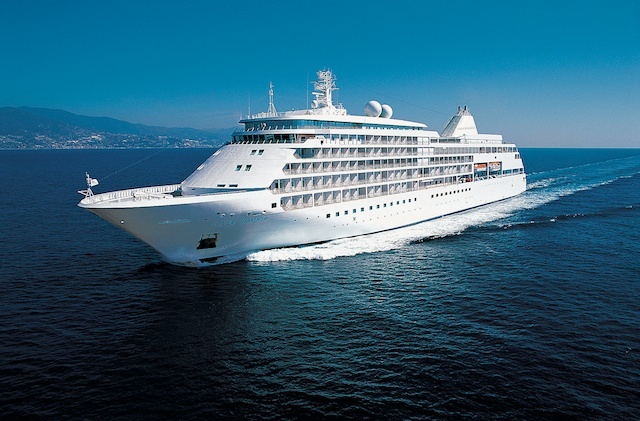 Appointments for spa services may be made on board the ship, at the spa, or in advance via My Silversea. Men’s and women’s saunas and steam rooms are perfect for relaxing before your spa treatment or after your workout. With complimentary cocktails and engaging conversation, live music and a dance floor, Dolce Vita aboard this luxury cruise ship welcomes guests to mix and mingle. Appointments for these chargeable services at the beauty salon may be made on board the ship, or in advance via My Silversea. For guests wishing to make shoreside arrangements, the Silver Shore Concierge is available to assist with knowledgeable suggestions and personalised coordination of all private, independent touring including sightseeing, water sports, golf and more. The Cruise Consultant can prove indispensable when planning your next Silversea voyage, or should you wish to extend your current voyage for a day, a week, a month… Like having your own personal onboard Silversea professional, the Cruise Consultant will help you to select the perfect voyage, reserve your preferred suite and provide immediate confirmation.